Budget travel is like a puzzle to me. I roam the world, trying to put the pieces together, and I’ve been able to turn some of the most expensive destinations in the world into budget destinations: Iceland, Japan, Sweden, and even Norway. I’ve only failed once, in Bermuda, a country whose luxury travel powers proved too great even for me to defeat. That was, until I came to the US and British Virgin Islands, where I once again failed at traveling for $50 a day. While there are ways to make these islands semi-affordable, my visit taught me that they will never be a true budget destination. There are too many rich people, tax shelters, and yachts, and too much focus on mid-budget and luxury travelers. But that doesn’t mean all is lost. There are some ways to lower your costs and avoid spending hundreds of dollars a day like most people do. 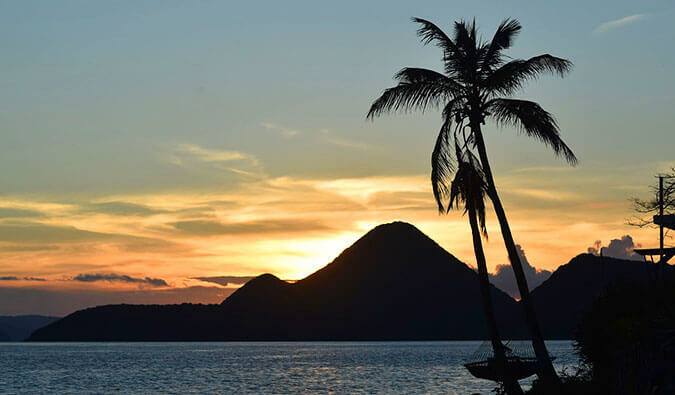 By following just a few guidelines, you can have a wonderful time on the islands and still maintain a budget. How much did the islands cost me? While I was able to get free accommodation on a boat, the lack of budget accommodation really drove up my housing costs. Even with sharing the cost of hotels, some nights I was paying $60. A last-minute change in plans and a flight to St. Thomas with bag fees meant an extra $80. And, while I cooked a bit, I splurged on some nice meals during Thanksgiving, ate a lot of seafood (so many lobsters! ), and bought drinks for my Couchsurfing hosts (a rum drink here and there adds up fast). Looking at the numbers, I know I could have done better, especially with food and beverages. So how do you do it cheaply? Couchsurf — You can find plenty of hosts in the USVIs and a few on Tortola in the BVIs. Given that most hosts tend to work on boats, their schedules are erratic, and you’re going to have a low response rate, so inquire well in advance. The flip side of that is that when they do respond, they almost always say yes. But always have a Plan B. Camp — There are a few campgrounds on the islands that can lower costs: Cinnamon Bay (St. John); Ivan’s (Jost Van Dyke); Reggae Camping (Virgin Gorda); and Anegada Beach Club (a hotel that lets you pitch a tent). They cost an average of $60 a night for a cabin or $30-40 if you want to pitch your own tent. Airbnb — In the USVIs, use Airbnb as a hotel alternative. Rooms start at around $50 a night and are your best choice. Tripping.com is a good alternative for apartment rentals if Airbnb doesn’t work out. There aren’t many apartment rentals in the BVIs though, so camping or sleeping on a boat is a better option. Since accommodation is so expensive, I wouldn’t recommend going to these islands alone. If you do, your expenses are going to skyrocket. It’s much better going with a friend so you can split costs. On the plus side, everyone on the islands is friendly and welcoming. The locals’ hospitality is incredible: they invite you into their homes, give you rides, contact friends on other islands, and make you part of their family. One night while Couchsurfing, our host got his friend Hamish to give us a ride back home since our host was working. We ended up stopping along the way so Hamish could treat us to dinner. There was also Oggie, who offered us a spot on his boat if we needed a place to crash; Kirby, who drove us around for a day; and Dan, who took us out on his boat for a sail. It’s a small community on these islands, and once you are “in” with a couple of people, they will do what they can to connect you to their friends on other islands and find you places to stay. I was impressed and amazed at how welcoming they were to strangers. Hitchhike — Taxi prices, regulated by the government, are exorbitant ($10-30 per ride). 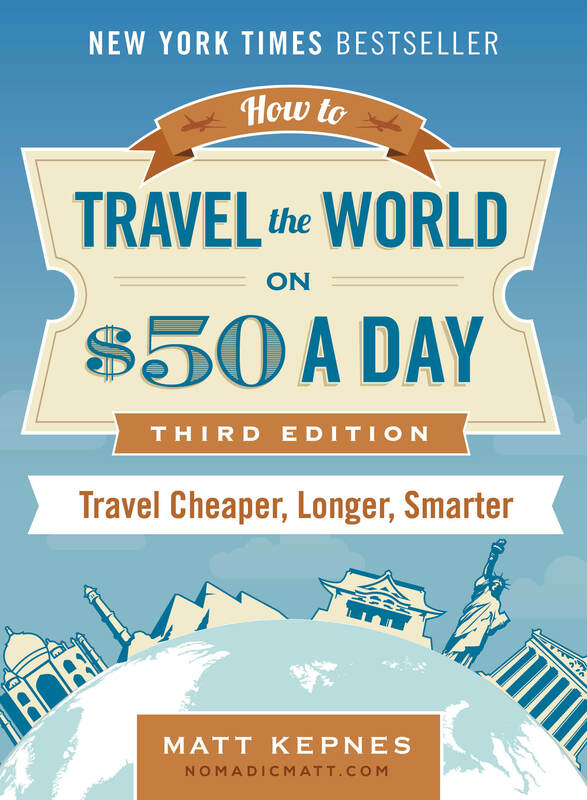 If you aren’t careful, you can easily spend upwards of $30 a day getting around. An alternative is to just hitch. It’s the preferred mode of transportation for locals and tourists alike. Since taxis and cars are expensive, many locals just share cars or hitchhike. Do the same. It’s safe and drivers will take groups. Rent a Car — If you’re going to be hitting a lot of spots on the bigger islands like Tortola or St. Thomas, you’re going to find it hard to get taxis in some of the more secluded places (they tend to stick around more crowded locations). It’s better to rent a car on these islands, even at $60-80 a day. It will give you more flexibility and, if you’re splitting costs with friends, will be cheaper than taxis. My friend and I figured out the math toward the end of our trip and kicked ourselves for not thinking about it sooner. 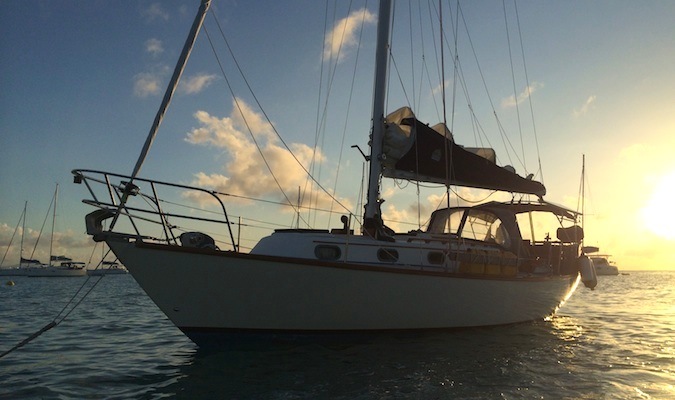 Ask to be dropped off — Taking a day sail but plan on heading to the next island after? 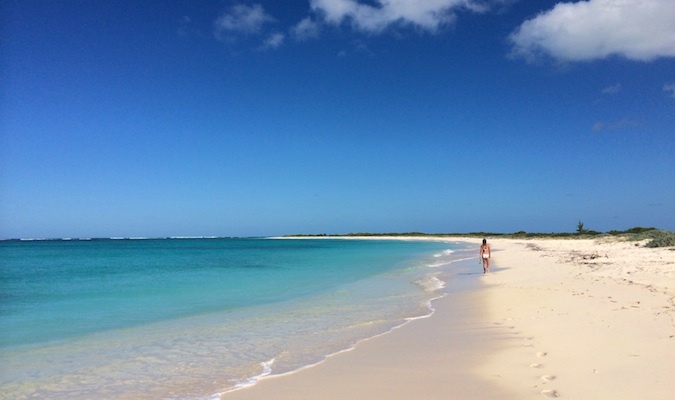 Most tour companies will drop you off at no extra charge if the island is nearby. It’s a free ferry! Hitchhike on boats — Want to go from island to island? Hitchhike on the boats and save thousands of dollars. It’s actually easy to do. Here’s how. Take shared taxis — The larger islands, such as St. Thomas, St. John, Virgin Gorda, and Tortola, have shared taxi services locals use for $1-2 each way. They travel between the major towns and, while infrequent, are a money-saver when you can get one. Cook your meals – The cheapest meal I saw around the islands was a small sandwich that cost $8. In general, $12 will get you a fish or chicken plate or a burger. For main courses, steak, fish, or seafood, you’re looking at $20 or more. While groceries tend to be fairly expensive because they have to be imported, there are some cheap options. Five days’ worth of food cost me $56 and included pasta, chicken, some fruits and veggies, eggs, and bread. Hit happy hour — $8 drinks add up, even if the pours are super heavy (tax-free rum!). Happy hour specials are half that, with many on St. John offering dollar specials. If you want to get sauced, do it early. Stick to the local venues — The islands are filled with food trucks and tiny mom-and-pop restaurants by the side of the road that cater to locals, not tourists. 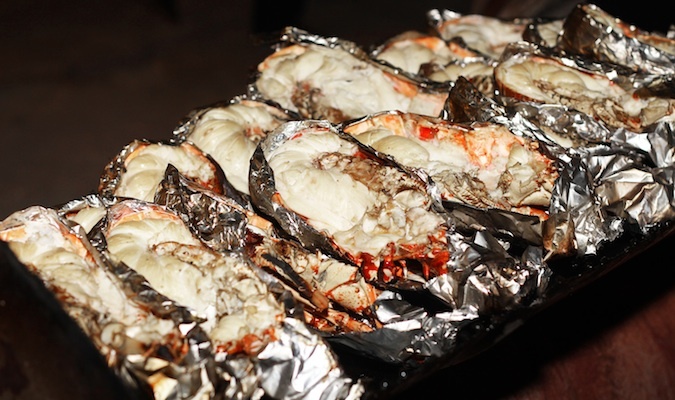 These roadside stalls offer large, filling meals for about $10. Be sure to find the chicken guy in the main square on St. Thomas. Delicious! 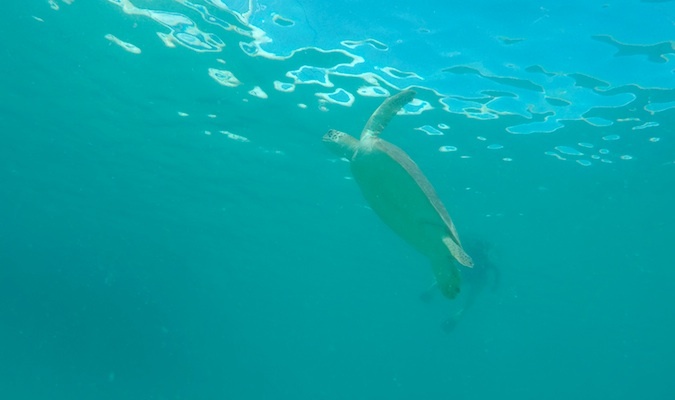 Buy your own snorkel gear — Snorkel rentals cost around $10 per day. Bring your own equipment to save money (buying gear on the islands will set you back $50!) while you’re taking advantage of the offshore snorkeling opportunities. 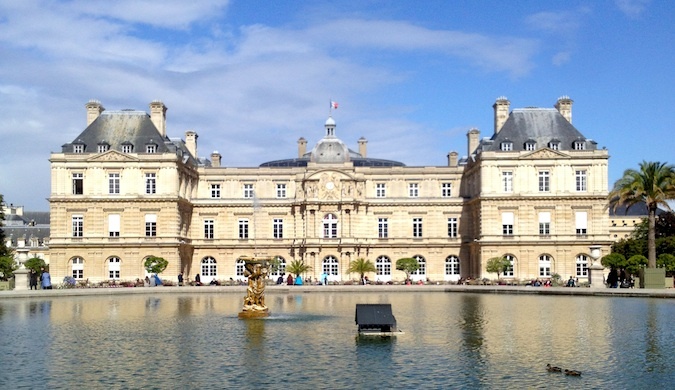 Travel in the shoulder season — From October-November and May-June, prices on hotels, activities, and boat rentals are upwards of 50% less than they are during the high season. You get cheap prices and you get to avoid the crowds. 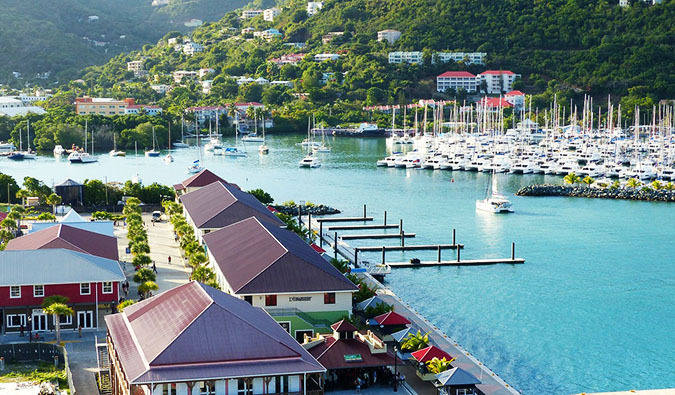 The Virgin Islands will never be a $50-a-day destination, but they don’t have to remain solely for cruisers, honeymooners, and the rich, either. I wasn’t able to keep my budget as low as I wanted to while on the islands, but you could get by on $70-80 a day if you pushed it. It’s not a budget paradise, but you can manage to see and do all the same things as people who book expensive vacations through Expedia and spend hundreds per day, for a fraction of the price. 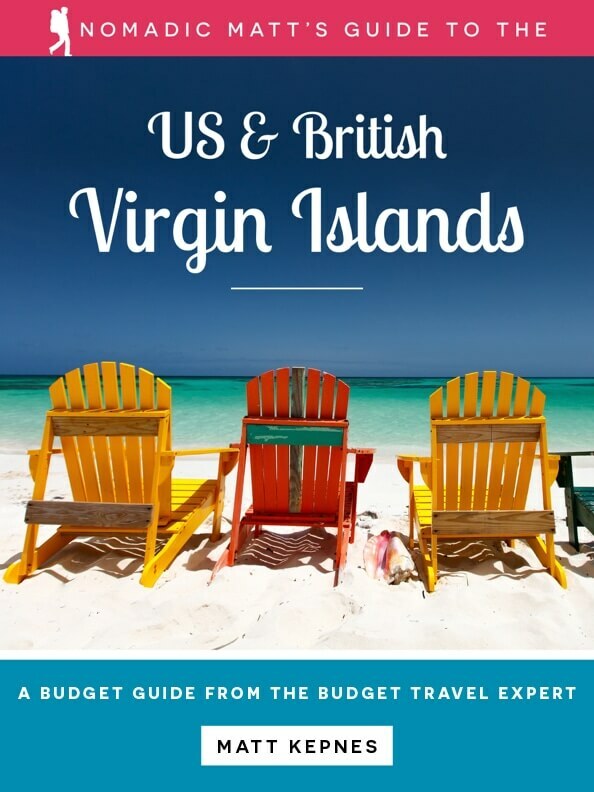 Get the In-Depth Budget Guide to The Virgin Islands! Great tips, Matt! I thought the Virgin Islands would be similar to Bermuda, so I’m surprised it’s possible to travel here for $100 per day or maybe even less. I just went to USVI for Christmas! A tip our airbnb host mentioned and we used was to pack dry goods so you would only have to pay for meats and veggies on island. It saved us a lot by buying and packing things like coffee, bagels, and goldfish! And we flew JetBlue so our bags flew free. Win-win! And yes GO TO HAPPY HOUR! The BEST way to save $$ on island! I think I’m going to have to lower this region on my bucketlist. I was hoping to maybe head there after I finish an exchange in the US, but I think the parts of Central America I won’t have visited by then might be a better alternative for my student budget. You can also get fresh, local produce at a couple farmers markets on Saturdays on St. Croix. I live in St. Thomas! Your tips are very true and realistic! Another tip is to take the safari. It has a set route that goes from town through country and out to the East End. It’s only a $1 to get anywhere within each limit, and it’s $2 to get from one end to the other. I take the safari everyday to and from work. It can’t take you everywhere, but it can at least get you closer and then you can hitch from there! 🙂 Happy traveling! ALSO! Make your own drinks 😉 we have no sales tax here, so you can buy a bottle of Cruzan for $8 for less (or if your liver feels up to it you can buy Paradise Rum for $4!). The mixer is what is expensive (which is why bars give such a heavy pour)… But just buy canned juice (like Goya or Blue Bird) and there ya go! You and your friends can drink all day for less than $20! My wife and I are planning a trip to the Virgin Islands and we really liked your tips for how to get around. Sharing taxis seems like a really good way to get around an island, but I have also heard that there is a ferry that takes you around from island to island. Both of these things seem like they will be very fun and affordable way to travel. Thank you for sharing. Yes, taxis are not only an issue in terms of the cost, but some travelers have some bad experiences with the drivers themselves. Renting a car is a good option, as is arranging your own private airport transportation. Airport taxis charge per passenger and also charge fees for your luggage and make you wait and share your ride with other people. It’s better to book a private ride and avoid the hassles, if you don’t mind spending money rather than trying to hitch a ride. If you’re staying at properties like Sugar Bay, Windward Passage, or Mafolie Hotel, they have a way to book private airport transfers through their websites.